Richard Hornsby, Regional Health and Safety Advisor for TEi Limited receives the Order of Distinction Award from Errol Taylor, RoSPA Chief Executive, at the annual awards ceremony at the Hilton Glasgow Hotel. 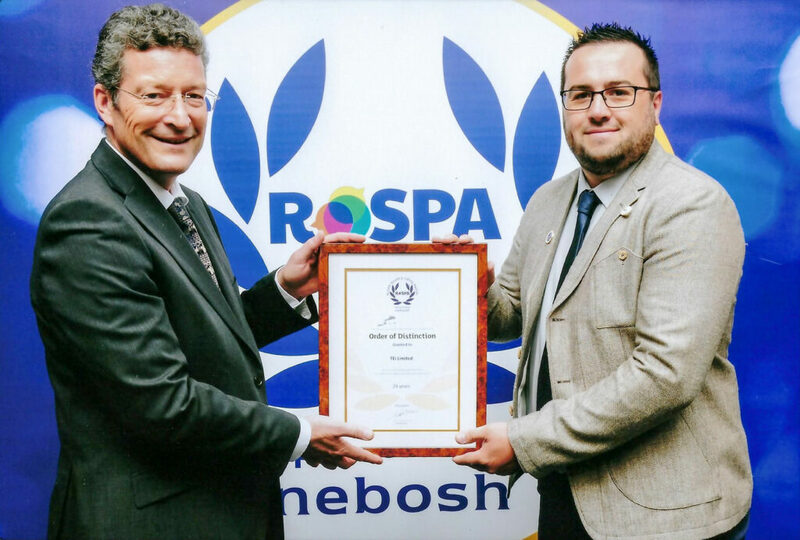 The company have been recognised for excellence in health and safety management for 24 consecutive years by RoSPA and this latest accolade comes at a time of further expansion of the company within the engineering construction industry. All employees who contributed towards this award should be congratulated for their efforts – long may they continue.